You can treat your loved one any day with anything but the treat of a special day like Saint Valentines day is what brings your loved one the happiness what i call unforgettable. 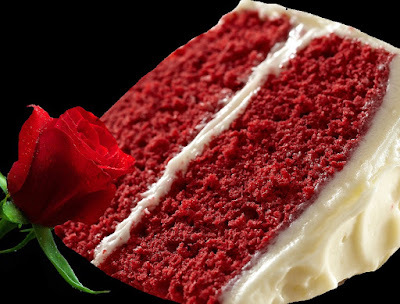 It is also called Red Rose day and there is no doubt that rose is the symbol of love, you spend day together, have dinner alone and spice it up with red velvet cake and present the rose. Saint valentinus was a priest in Rome and was imprisoned for performing marriages of soldiers which was forbidden, all those soldiers were also punished, the legend has it that saint valentine wrote a letter to jailer's daughter whom he healed just before his execution with signatures "your valentine". IN 14th century the day became associated with romantic love but it really evolved as an occasion for lovers in 18th century England when lovers started presenting flowers to each other. If you like it please do use comment box below and do not forget to subscribe our site to get new recipes everyday, we don't just share the recipes from around the world, we dig the history for you to bring some of the best recipes for you and we bring the memories of ancient life into your kitchen. In a bowl mix milk, food colour, vinegar and vanilla essence, set aside. In a add butter and sugar, beat well with an electric beater on medium speed, add eggs one by one and carry on beating, add plain flour slowly while beating. put in baking tray and bake it on 180 degree for 25 minutes. Then mix cheese and icing sugar nicely, add cream, spread on cake and serve it.